The Omega VSJ843QS is one of the most popular juicers that we offer. Additionally, it is one of the top masticating juicers on the market and is great for soft produce. This is perfect for anyone who enjoys sweet juices made from grapes, blueberries, or strawberries. The Omega VSJ series has five different configurations but they are identical despite the external differences. 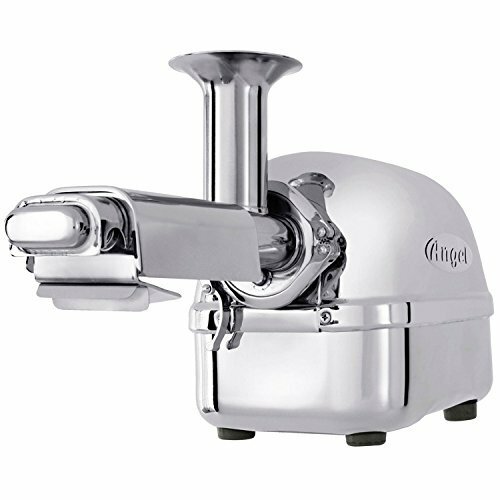 The two most popular configurations are the Omega VSJ843QS (square juicer) and VSJ843RS (round juicer). This review will focus on the VSJ843QS but everything is applicable for the VSJ843RS. Let’s jump into the review and see if the Omega juicers are for you. Long Juice Storage: The VSJ843 has a new motor that spins at 43 RPM. A slow motor separates the juice from your pulp without destroying the nutrients. The slow speeds also prevent oxidization so you can store your juices for up to 72 hours. The previous model rotated at 80 RPM so the updated version is significantly better. 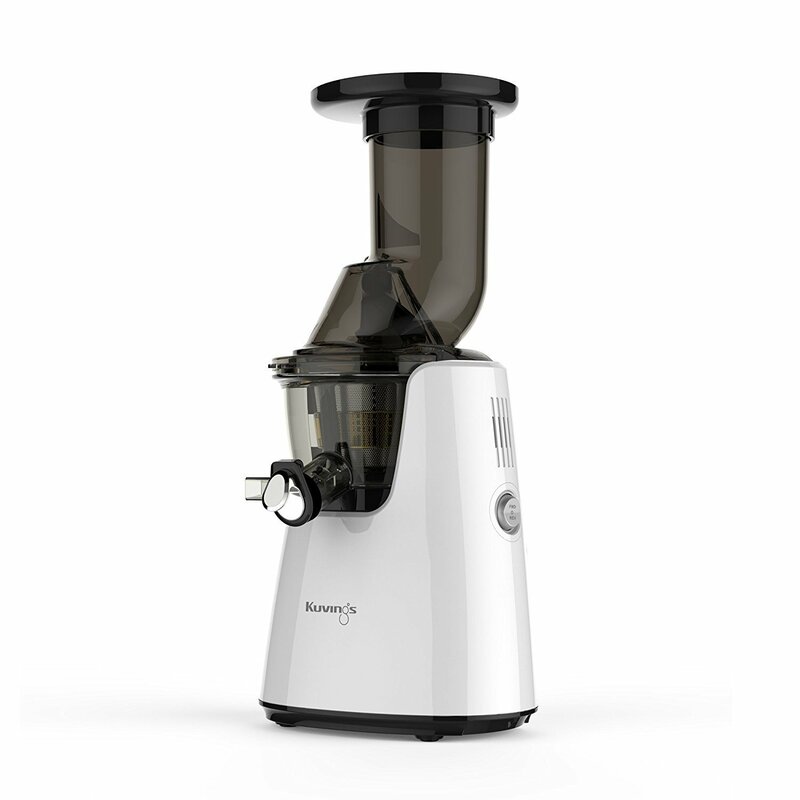 Improved Juice Yield: The juicer has a redesigned dual-edge auger with a tighter fit. This allows the juicer to extract more juice from your produce, reducing your grocery bill. Safe Materials: The juicing bowl is made with BPA-free materials. This ensures that your juices will not touch any toxic materials. Simple to Clean: The juicer does not have any gears so cleaning is significantly easier than before. Previous Omega VRT juicers had these gears, which made cleaning time consuming and tedious. No Leaking: The Omega VSJ843QS has a redesigned lining for the juicing bowl. This lining provides a better seal and prevents leaks and spills. This allows you to juice without the hassle of cleaning a messy countertop afterwards. Warranty: The 15-year warranty is one of the better warranties for juicers. This gives you peace of mind that your juicer will continue to function and provide high quality juices for years to come. Quiet Juicer: This juicer motor spins at slow speeds and this allows the juicer to operate quietly. You can finally run your juicer while talking on the phone or in the presence of sleeping children. Masticating Juicer: Masticating juicers spin at slow speeds that give a very high yield of juice. This means that you get the maximum amount of juice from every fruit or vegetable that you put in. Should the Kuvings C7000 Juicer Be Your Next Buy? Review and Buyers Guide. Let me guess. You want a clean juice but you are rushed for time. Do you have time to cut your produce and feed your juicer? Do you wish you could trim a few minutes off the preparation time? This is the beauty of the Kuvings C7000 juicer. The juicer has a large 3-inch feed chute. This chute is much larger than the other juicers on the market. Now you can throw apples and pears in whole. 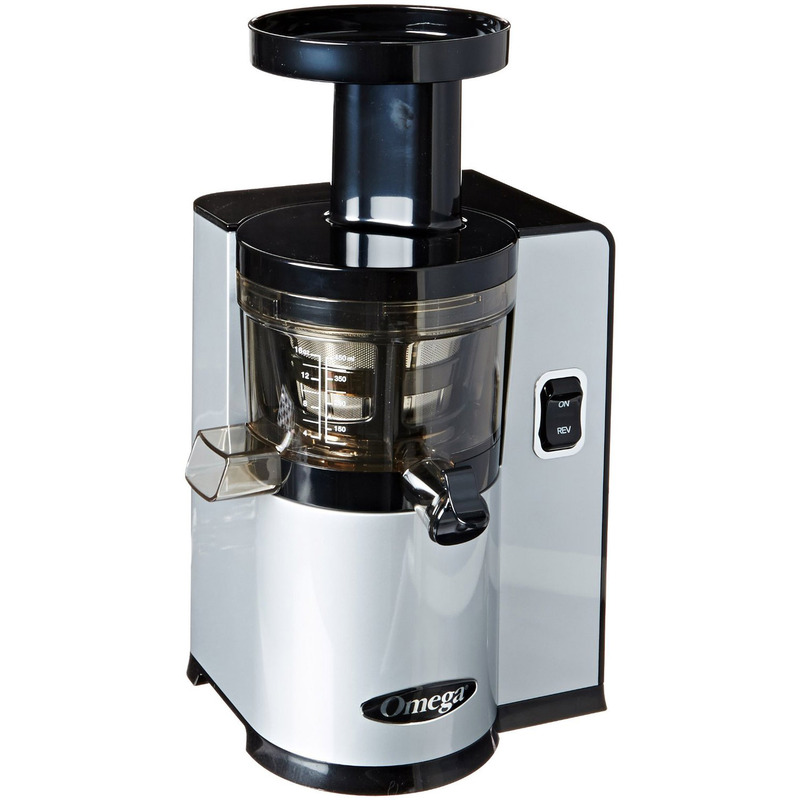 The Kuvings C7000 juicer also has a quiet 60 RPM motor that allows you to juice while everyone is sleeping. The low spin rate creates a juice while retaining the nutrients. Let’s go through all the features of the Kuvings C7000 to determine if it is the right juicer for you. Large Feed Chute: The large feed chute allows you to put in whole fruits and veggies with minimal preparation. The Kuvings C7000 has an improved auger that squeezes your produce and extracts juices from the hardest vegetables available. 3-in-1 Juicer: The C7000 allows you to make juices, frozen fruit sorbets, and smoothies. You can use the blank strainer that allows the pulp to mix in with your juice. Additionally, you can use the sieve to ensure that your juices are pulp free. Loaded with Accessories: The Kuvings C7000 comes with two cleaning brushes that allow you to quickly clean your juicer. You also receive a manual and recipe book loaded with healthy recipes to try. Safe Materials: The juice extractor is manufactured with BPA-free material. Avoiding BPA helps with your brain health, prevents cancer, and lowers your blood pressure. Available in Three Colors: The C7000 is available in silver (C7000S), red (C7000P), as well as white (C7000W). The variety of colors allows you to choose a style that works best for you. The Super Angel juicer is one of the best juicers on the market. It is the perfect addition to your kitchen and compliments your healthy diet. Not only does the Super Angel juicer squeeze high-quality nutrients out of fruits and vegetables, but it also helps you detox and cleanse your body. However, is the Super Angel juicer right for you? Stainless Steel Parts: The entire juicer is made of stainless steel parts. This is the best material for juicers since your fruits and vegetables are not exposed to plastics. Additionally, all parts in the Super Angel juicer are FDA-approved to produce food. No Plastic: Steel is much more durable than plastic so your juicer will not wear out as quickly. Low Speeds: The gears turn at a low speed of 82 RPM to ensure that the enzymes and nutrients in your juice stay intact. The gears are long to maximize the amount of juice produced while minimizing the pulp. Warranty: The 10-year warranty gives you peace of mind that your juicer will provide healthy drinks for years to come. The main control board, fan, motor, switch panel, and splash guard are all covered with the 10-year warranty. The twin gears, scraper, screen housing, and power cord have a 5-year warranty. Limitless Possibilities: The juicer can process anything from wheatgrass, kale, and soft vegetables to hard carrots. It can make juices, tofu, frozen fruit sorbets, soy milk, and nut butters. Automatic Thermal Cooling: The Super Angel prevents overheating by using sensors to detect temperatures. The low heat prevents oxidation in your juices to give you the healthiest juices possible. Three Stages of Juice Extraction: The Super Angle has a three-stage juice extraction system. The first stage applies pressure on the fruits and vegetables while the next two stages continuously grind your produce. The juicer outputs a very dry pulp and 20-30% more juice compared to other juicers. Triturating (Twin Gears) Juicer: Twin gear juicers are some of the best juicers on the market. They run slower to preserve nutrients and have two gears that grind produce and extract juice. Additionally, the two gears allow you to extract the most juice and minimize waste. Easy to Clean: The parts easily disassemble, which allows you to quickly clean the juicer and enjoy life.